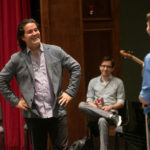 University of Lynchburg students and others from the surrounding area had the opportunity to learn from Grammy Award-winning cellist Zuill Bailey, who conducted a master class in Sydnor Performance Hall on Friday, March 1. 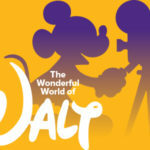 The 2019 “Night at the Movies” concert will transport audiences into “The Wonderful World of Walt” — Walt Disney, that is. 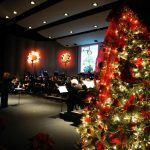 This year, the University of Lynchburg’s wind symphony, orchestra, and choral groups, will perform music from Disney favorites The Lion King, Beauty and the Beast, Mary Poppins, The Hunchback of Notre Dame, Miracle, and other films. The University of Lynchburg will present “Traditions of St. Nicholas,” at 7:30 p.m. Wednesday through Friday, December 5, 6, and 7, in Sydnor Performance Hall. Admission is free, but tickets are required. On a recent Friday morning, Sydnor Performance Hall was literally drumming with excitement. 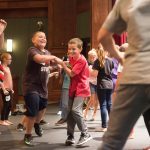 It was “Orff Day” and about two dozen Campbell County fourth- and fifth-graders and their teachers were at the University of Lynchburg for a day of musical exploration. 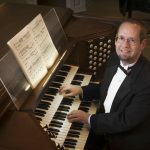 Dr. F. Johnson Scott, III, assistant professor of music at the University of Lynchburg, will perform an organ recital at 7:30 p.m. Monday, September 10, in Snidow Chapel. The public is invited and admission is free. Three concerts are scheduled during Parents and Family Weekend, September 14 to16, 2018. 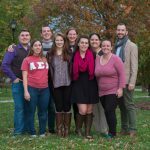 Lynchburg College has received the 2018 Chapter of Excellence Award for Service from the National Association for Music Education (NAfME). 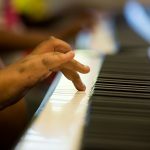 The NAfME, described as “one of the world’s largest arts education organizations,” oversees the Virginia Music Educators Association and its collegiate arm, the CoVMEA. 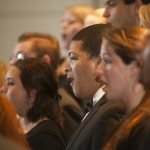 Students and faculty at Lynchburg are members of those organizations. 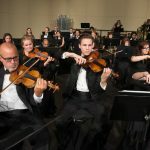 Lynchburg College will host its first Community Strings Concert in Snidow Chapel at 7:30 p.m. on October 19. Joe Nigro, professor of violin and viola and artist-in-residence at Lynchburg, will orchestrate the performance.